Krishna Neupane is the President in the Asian Hiking Team. Krishna has been involved tourism 1989. 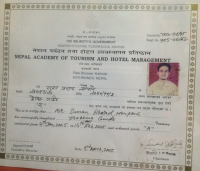 He was born in Dhading district in the base of Manaslu and Ganesh Himal. He has many years’ dept knowledge of local culture and custom. He believes in combining eco-tourism with cultural and sustainability. Mr. Krishna make a travelers holiday plans, gives advice, support. He encourages providing best hospitability, quality and value for money, international standard of service to our clients. He has extensively traveled in countries like Thailand, Singapore, India, China, Germany, Belgium, Portugal, Sweden, Poland, Denmark, Netherlands, France, Estonia, Latvia, Lithuania, Switzerland, England, Italy, and Austria. Mr. Krishna currently lives in Antwerpen Belgium, with his family. 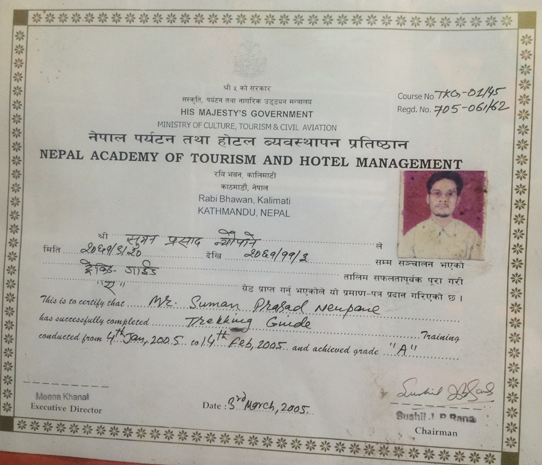 Suman Prasad Neupane has learned their trade since 19 years from the bottom up, i.e. they worked as porters first. Suman is the founder of Asian Hiking Team. Suman currently upholds the managerial position in the office. 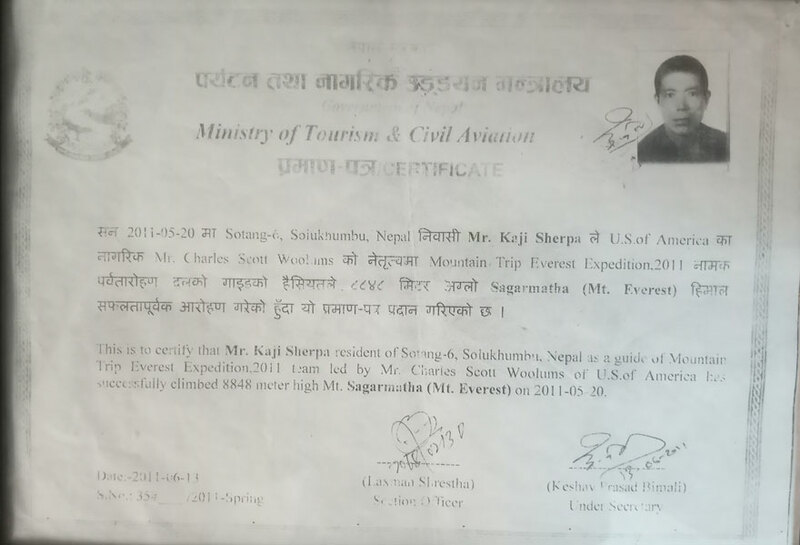 He also administers the overall correspondence, mountaineering, tour and trekking operation. Running a Master’s degree in sociology, Suman is gradually focusing on the promotion and development of eco tourism, approach to work “tries to make a difference”, the very concept that underpins the goal of our operation. He is fluent in English, Nepali, and Hindi. Deb Banda is Marketing Office in the Asian Hiking Team. Dev was born in Dhading district in the base of Manaslu and Ganesh Himal. Dev had worked in India few years than permanently lives in London, England with his wife, two daughters and one son. He has travel all over Europe countries, Asian countries and USA. He is young, energetic, knowledgeable, advisers and travel consultants with up to date travel organization services. Nirmala Amagain is the face of our company as she looks after our Public Relations as well as tour operation. A Masters in sociology and anthropology, Nirmala is superbly skilled in communicating with our clients, staffs and dealing with their needs. She also administers the overall operation of the office. Nirmala is responsible for staff coordination and manages hotels, international/ domestic air tickets for our guests and clients. Nirmala is also in-charge of store operation. Ramesh Bhtta holds the post of accountant in our company. 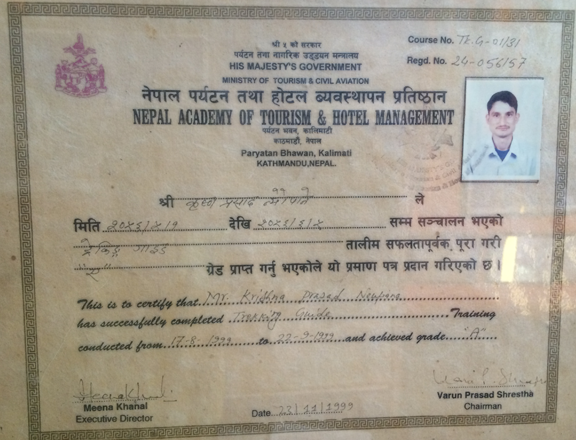 Born in Gorkha District, Taple VDC, Ramesh holds Bachelor’s degree in commerce and has amazing passion for numbers. He ensures that our account is spruced up and clean. Working since 5 years, Santosh Amgain is office assistant. Originally from Gorkha District, young, smart and smile face. He also takes it as his responsibility to keep the office neat and tidy. His strength lies in his smiles and politeness. Siri Pokhrel was born in western part of Nepal, Mt. Annapurna Region. He is a highly experienced Tour/ Trekking guide who have been working in the field of tourism since last 25 years. 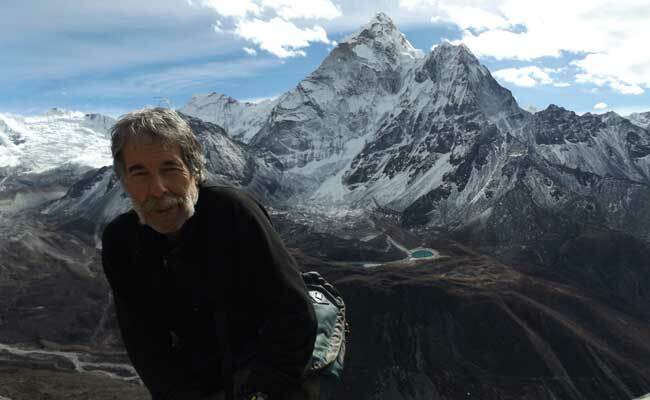 He has led many groups to almost all trekking regions like Everest, Annapurna, Langtang-Helambu, Dhaulagiri, Kanchenjunga, Makalu, Dolpa, Humla/Simikot, Manaslu, Tsum Valley, Ganesh Himal, Panche Pokhari. His tailored services and friendliness are the first preference of our any patron. Siri has well professional knowledge of people, culture, tradition and landscape of the region. Kaji Sherpa is the head Expedition leader of Asian Hiking Team and has been leading climbing expeditions since 1998. Kaji has worked as Climbing Sirdar for over 14 years and has submitted Everest two times. Kaji also climbed Manaslu, Makalu, Baruste, Cho Oyu, Shisha Pangma, and Dhaulagiri. He has climbed almost all the trekking peaks in Nepal. 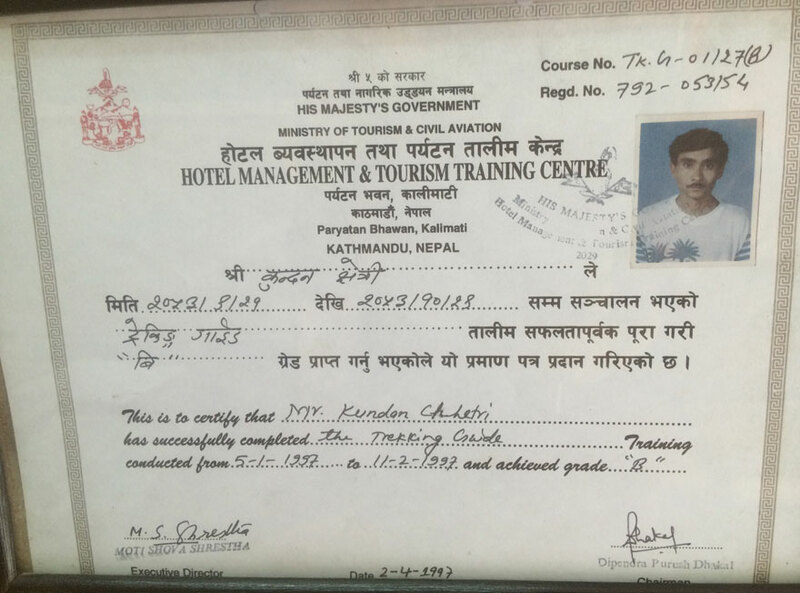 Kaji has received Basic and Advanced Mountaineering training as well as Basic Rescue Training from Nepal Mountaineering Association and Ice climbing and Rock Climbing from Khumbu Climbing School. He born in Sotang village in Solukhumbu, Kaji loves climbing, trekking and knowledge of Buddhism so join worship programs in Monastery if not climbing and trekking. Ang Tenji Sherpa is the Climbing Guide of Asian Hiking Team and has been leading climbing expeditions. Ang Tenji has learned their trade since 30 years from the bottom up, i.e. they worked as Cook first. Tenji has worked as Climbing Senior Climber for over 12 years and has submitted Baruntse. He has climbed most of the trekking peaks in Nepal. 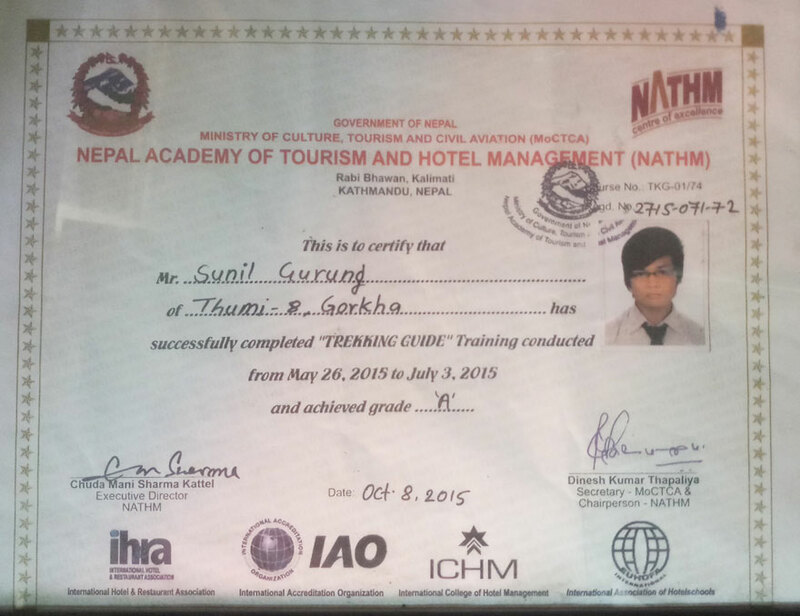 He has received Basic and Advanced Mountaineering training Nepal Mountaineering. He has born in Salyan village -6, in Solukhumbu, He loves climbing, trekking and cooking. Jit has been working as trekking guide since 16 years. Jit encyclopedic knowledge of Buddhism, local culture and tradition is second to none. Jit is a dynamic, professional mountain guide in adventure tourism. He enjoys leading treks that combines mountains, wildlife and a sense of adventure. He specializes in regions mainly Dhaulagiri, Ganesh Himal, Panche Pokhari, Annapurna, Everest, Langtang, Kanchenjunga and Manaslu. 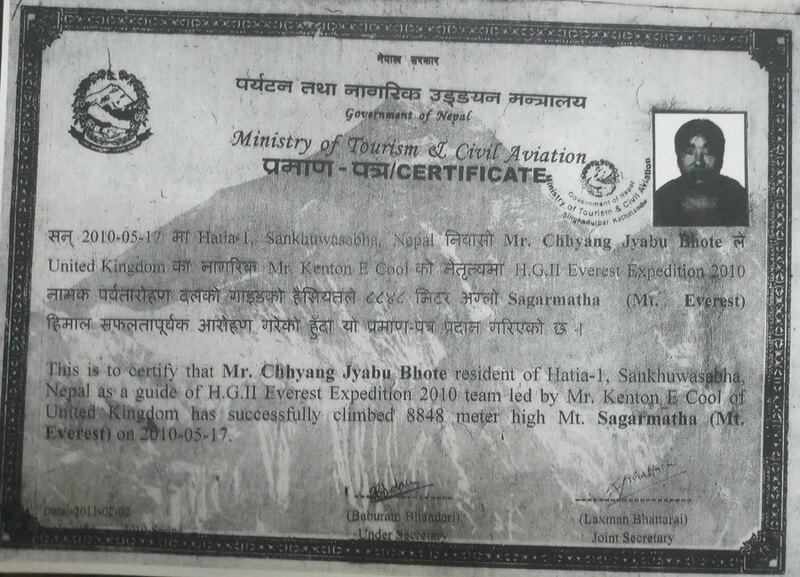 Jit was born in Langtang region and is fluent speck in Tibetan, Tamang, English and Hindi. An experienced of several major mountaineering expeditions, Dorchi Sherpa summiting the world’s highest mountain peak in 2007, 2009, 2010 with a team from the Korean, South African, and French respectively. Dorchi Sherpa has been successful summit multiple times on Lhotse, Cho-Oyu, Manaslu, Annapurna IV, Sanser Khangri (India), Ratong Satapan (India), Cho Khamba (India), Pancha Chuli (India), Mt. Kamet (India), as well as successful summits of Noon (India) and Stock (India). Originally he comes from Makalu VDC, in SankhuwaSabha. 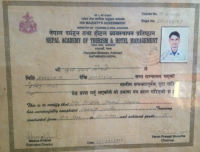 Dilip Tamang is a veteran climbing and trekking guide. He has been working as climbing and trekking guide since 2004. 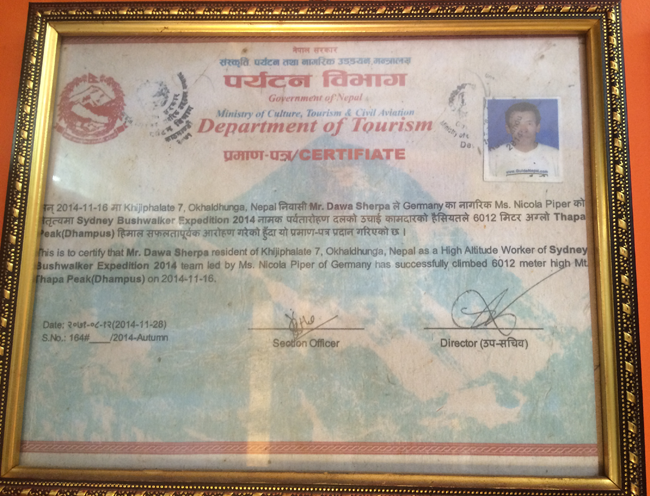 Dilip is specialized for Island,Lobuche peak, Ama Dablam Expedition Mera peak climbing. He has been Summit Island and Lobuche Peak more 80 times and 10 times in Amadablam Dilip has received Rock Climbing training from Nepal Mountaineering Association and knows English, Hindi and Tamang languages. Kundan is true professional in terms of his acquaintance and insights into Nepal Himalayas. He commands special distinction among his fellows and peers. He has started professional as rafting guide. Kundan came from Jhapa District eastern part of Nepal and has been working as a trekking guide for well over 2 decades. 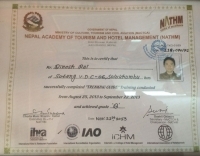 Dinesh Rai is one of the skilled young trekking guides who hail from Mt. Everest region of Nepal. He has been working with us for many years. He start trekking the bottom up, i.e. they worked as porters first. 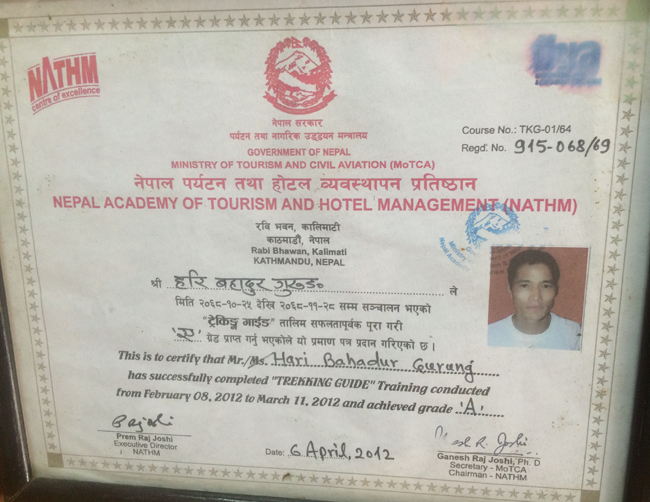 He received his trekking guide license from Nepal Academy of Tourism and Hospitality Management. He loves trekking and meeting people from different country. Dinesh has been to many trekking area with trekkers and is very much familiar with various trekking regions. Personally he is very friendly, helpful and loves to share his deep knowledge about mountain among travelers to make their journey interesting and unforgettable. 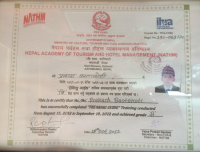 Surya Dhakal over 10 years of experience in trekking industry. He start trekking the bottom up, i.e. they worked as porters first. 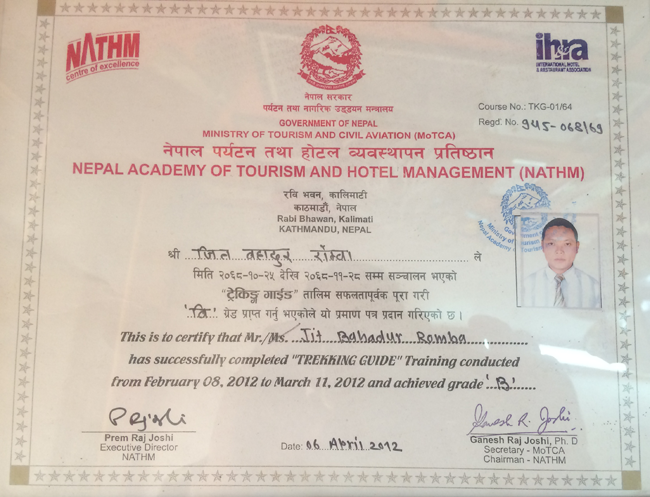 Mr. Dhakal makes every trip memorable & inspiring and instills a value that is worth a lifetime experience. He has explored many trekking routes within Nepal and very energetic and sporty guide. Suya was born and brought up in the locality from Manaslu region. D.K. 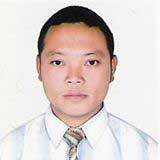 Basnet his several years experience in the field of trekking born in Sotang Village in Solukhumbu district of Nepal. 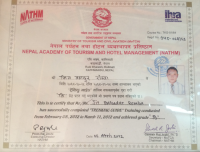 He has been providing excellent services to the trekkers as a professional guide. He is familiar with history, culture, tradition and climate of the most of the regions where he has led the group of trekkers. D.K. specializes in regions mainly Everest, Dolpa, Kanchenjunga, Annapurna, Langtang, and Makalu. His friendliness and interesting talks will definitely prove to be a good amusement on your journey. 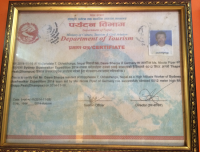 Dawa Sherpa has been working as climbing and trekking guide since 1996. He start trekking job to carry the load from base camp up to high camp in Mt Everest. He became climbing guide as highland porter first. 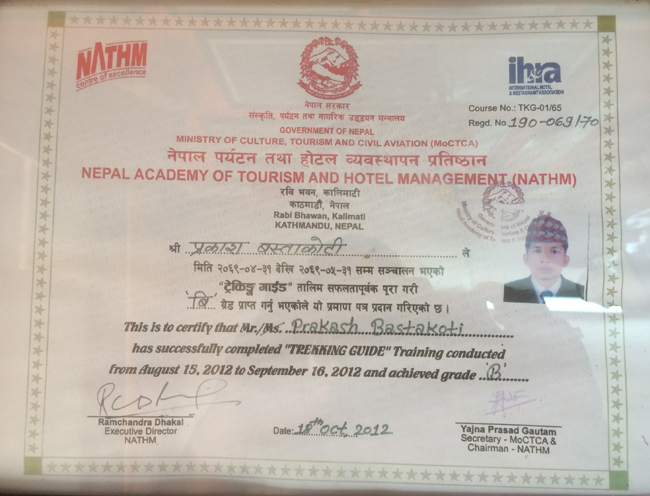 He has received training on basic mountaineering. Among the peaks he has successfully climbed includes Tukuche, Dhampus, Pachhermo, Island Peak, Lobuche peak, Mera peak, Chulu east, Chulu west, Pisang Peak, Bhokta Peak, Tent Peak, Yala Peak, Naya Khanga peak, Machhermo Peak and many others. Dawa was born in Okhaldhunga district and also speck in Sherpa, Tibetan, polite English and Hindi. Akhpu has been working as trekking guide since the past 15 years. He has also been climbing mountains for the last 10 years. As a trekker he climbed almost all the trekking peaks. 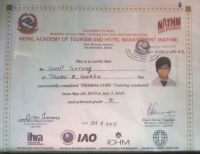 He has received basic training on ice and rock climbing from Nepal Mountaineering Association. 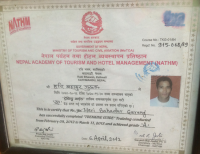 He was born in Solukhumbu and knows English, Hindi, and Sherpa languages. 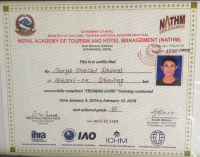 Suni Gurung is one of our young, friendly and energetic trekking guides. Having trekked major trekking trails in Nepal. Mr Sunil specializes in regions mainly Manaslu, Manaslu Tsum Valley, Annapurna and Everest. Understanding the needs of trekkers comes easy to do trek with Gurung. Mr Gurung comes from Gorkha District in the base of Mt Manaslu. He is very active and sporty guide since 9 years. Our Cook / Sherpas and Porters are experienced, friendly and co-operative. Our all Cooks, porters, and Sherpas have attended basic training course about eco tourism, first aid, hygienic food, precaution of high altitude and equipments.